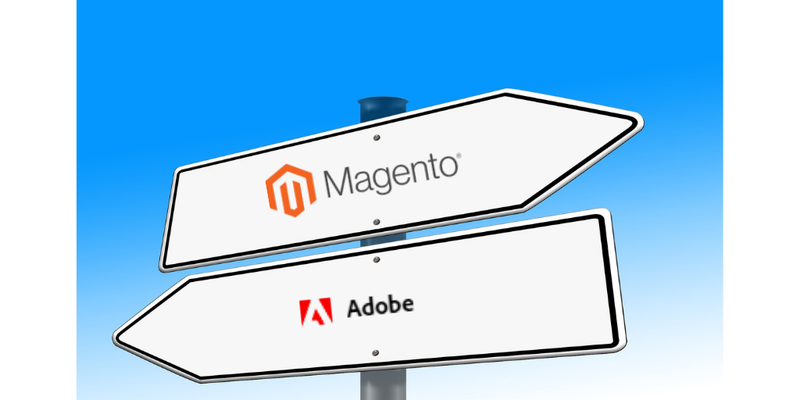 When last May Adobe Inc acquired Magento for $1.68B it sparked number of discussions: will Magento stay open-source, how Adobe approach enterprise market and many others. Close to one year after acquisition and between Adobe Summit and Magento Imaging I asked myself the next question: what is the future of Magento as a brand? Will Adobe retire or keep it? Let’s check what Adobe did in past with the businesses and brands it acquired. Wikipedia provides quite extensive list of acquisitions Adobe made over last 30 years. But let’s check what happened in shorter time horizon, with the companies purchased from 2010 to 2016. Abandoned here doesn’t mean that the products behind the brands were thrown away. In most cases they were re-branded as “Adobe Something” or merged with other products. In this list of 15 businesses only 3 (20%) have retained their brands so far. Even out of them visiting TubeMogul website provided me with impression that it is on its road to be absorbed by Adobe Advertising Cloud. In marketing and brand management there are two main kinds of brand architecture: Branded House and House of Brands. Branded house approach is dominant use of main brand, it is highly visible through all products of the business. The brand management is highly centralized and consistent across all products. Opposite approach is House of Brands, when products in portfolio have their own distinctive brand, not really tightly linked with each other and managed rather independently. In technology world that approach is used by Alphabet where Google, YouTube, DoubleClick are separate and quite distinctive brands. As we see from history Adobe tends to be closer to a branded house, where after some time acquired brands are amalgamated by Adobe and started to be “Adobe Something” (sub-brands), most often with getting rid of original brand all together. Even such strong brands as Omniture are eventually retired. Where does Magento sit now? 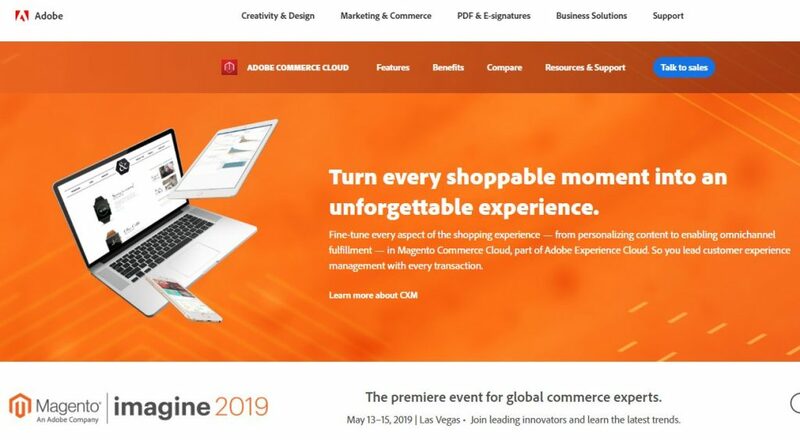 On the other hand Adobe recently announced a new product called Adobe Commerce Cloud, which effectively looks like a re-branded version of Magento Commerce Cloud, so it is between stages 3 and 4. 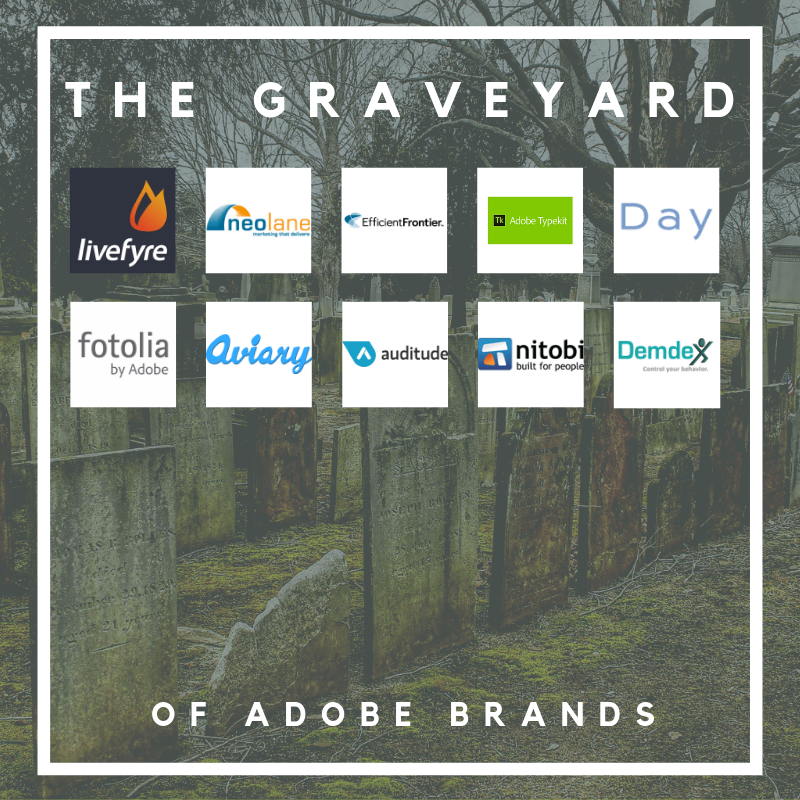 Does it mean that Magento brand will be send to Adobe brands graveyard like dozens of others? Before answering this question let’s check one prominent exclusion from usual Adobe practice. If you visit Behance website, you’ll see that unlike other Adobe owned properties, Adobe brand is presented in quite subtle way – gray logo in top and bottom right corners. Not even endorsement like “Behance by Adobe” or “Behance, an Adobe Company”. Why Adobe made an exclusion for Behance? Because unlike other acquired businesses even with a strong brand like Omniture, Behance is different: first of all it is a community for designers. It is a place where creatives can upload their works (build portfolio), find sources for inspiration, learn new things, get feedback from peers and find new job. Re-branding Behance to something like ‘Adobe Design Portfolio’ brings very high risk of alienating community members. 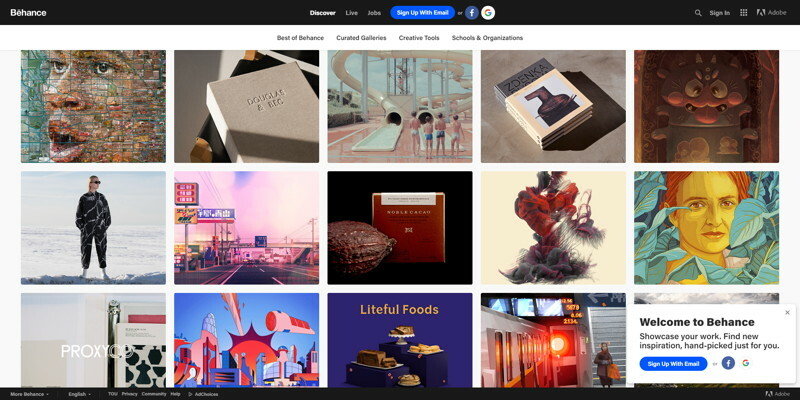 Hence while Adobe pushes its products through Behance pretty actively, 7 years post acquisition Behance is still a separate brand; Adobe opted for House of Brands approach here. So probably Adobe approach is “Kill the product brands but keep the community brands“. Magento is quite a unique business, at least in Adobe portfolio: it is both product (open-source eCommerce platform) and very strong community around. Will Adobe decide that Magento is more product and kill the brand like dozens of other product brands or that it is more community and keep it like Behance? There was one a bit similar case in Adobe history – PhoneGap, another open source product. While the brand of company behind PhoneGap (Nitobi) was retired, PhoneGap brand is still alive as “Adobe PhoneGap”. Magento community was very nervous about the future of open-source, free part of the platform after acquisition. While Adobe several times confirmed their commitment to keep it open-source, many community members are still on their guard. Ignoring that fears and concerns will be not very smart: strong ecosystem is big part of reasons for merchants to select platform and Magento $1.68B valuation. So I think that Adobe will keep Magento brand. There is also a high chance however that it will keep it for Open Source (former Magento Community) only and Magento Commerce be retired and fully transitioned into Adobe Commerce Cloud. All product names, logos, and brands mentioned in this post are property of their respective owners.